This morning on my radio show, I played one of my favorite Frank Sinatra tracks and certainly my favorite track from the album that Sinatra did with Duke Ellington and his Orchestra (a 1967 collaboration called Francis A. and Edward K.) a tune called “I Like The Sunrise.” The song is from Duke Ellington’s Liberian Suite, and is notable on the Sinatra collaboration because, believe it or not, it’s the only Ellington composition on the album. “I Like The Sunrise” points to the oddness of Francis A. and Edward K.: Sinatra recorded several Ellington standards through his career (beautiful versions of “Mood Indigo” and “I Got It Bad and That Ain’t Good,” among others, for Capitol), and Ellington was even under contract to Sinatra’s Reprise Records, yet when it came time to record an album together, not only was the album devoid of Ellington tunes, but Ellington didn’t even do the arrangements! Longtime Sinatra arranger Billy May, instead, wrote charts in the style of Ellington. It’s not a BAD album, but two things make me scratch my head: given the wealth of material that Ellington composed, why did he and Sinatra opt for “Sunny” and “Poor Butterfly” instead of, say, an album of songs like those on Rosemary Clooney’s Blue Rose? And second, why didn’t Ellington handle the arrangements? Again, the arrangements aren’t BAD, but they’re not DUKE. 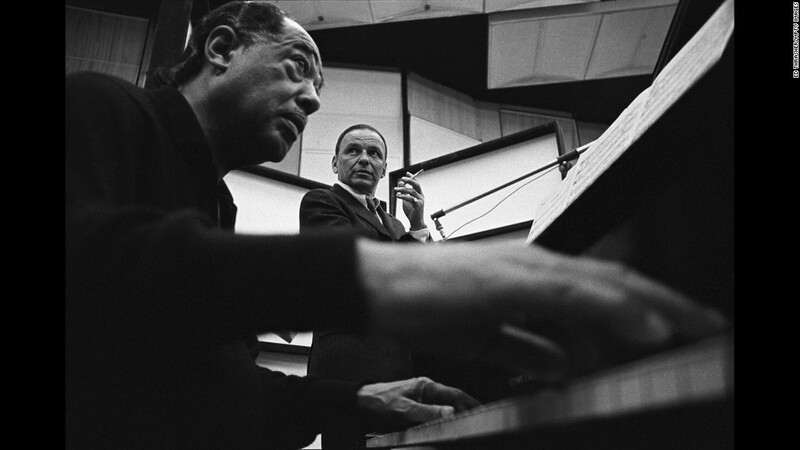 Around the third week of November (1967), (arranger) Billy May and (pianist Bill) Miller flew up to Seattle, where (Duke) Ellington was working to try out the (arrangements for a collaboration with Frank Sinatra) in a rehearsal without Sinatra. May’s solution was to add a couple of “ringers” to the band, (sight) reading studio men who could follow the charts and play in the Ellington style. With one good reader playing lead for each of the sections, the others could gradually follow and get it right…. How do non-traditionally trained musicians REALLY learn music? Many of the greatest musicians of the last hundred years learned music “outside of the academy:” with little or no formal training, musicians like John Lennon, Merle Haggard, Burt Bacharach, Paul Simon, and others became greater than many musicians who took lessons their whole lives. How did these and other non-traditionally trained musicians learn music? Are there common ways that non-traditionally-trained musicians follow to become proficient as players, singers and composers in spite of their lack of formal training? And can those ways be formalized into a musical pedagogy that could, in fact, be a more effective method of mentoring musicians than the traditional “academic” approach of lessons, theory and study? In A Musical Way, Max Harrick Shenk explores the ways that we learn music in spite of formal training, reflecting on his own experiences as a listener, songwriter and musician, and drawing on the experiences of musicians who not only learned music without lessons or schooling, but often didn’t even realize that they were learning. Shenk takes those experiences and proposes a “musical way” that a teacher could use to help a musically-interested student express his or her musical ideas, without getting hung up or stuck on technique, theory or an uninteresting, uninspiring repertoire. Interwoven with quotes, anecdotes and even excerpts from Shenk’s own fiction, A Musical Way will help listeners, players and teachers understand the ways that we learn music, and inspire and encourage them to not only teach others, but to make music of their own.